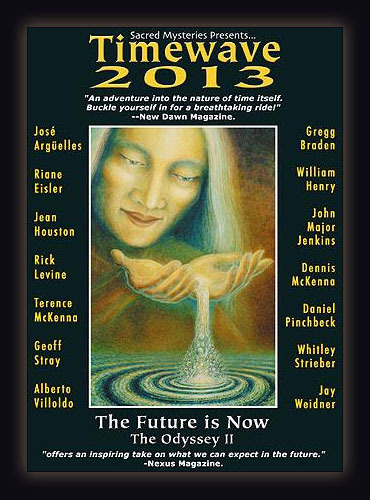 Featuring Jose Arguelles, Gregg Braden, Riane Eisler, William Henry, Jean Houston, John Major Jenkins, Rick Levine, Dennis McKenna, Terence McKenna, Daniel Pinchbeck, Geoff Stray, Whitley Strieber, Alberto Villoldo and Jay Weidner. 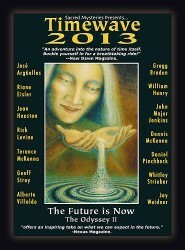 Timewave 2013 is the sequel to 2012: The Odyssey. For a complete understanding of 2012 and what it really means it is suggested that both films be viewed together whenever possible. For more information see 2012: The Odyssey.